Starring Anya Taylor-Joy, James McAvoy, Sarah Paulson, Samuel L. Jackson, Bruce Willis, Spencer Treat Clark, and Charlayne Woodard. At once confirming M. Night Shyamalan as one of the most intriguing and frustrating filmmakers working today, Glass was supposed to be the culmination of his recent comeback, following the one-two success of The Visit and his surprise Unbreakable kinda-sequel Split. And though this two-decades-in-the-making follow-up to Shyamalan’s ahead-of-its-time superhero thriller is chock with interesting ideas and fine performances, it ultimately collapses under the scatter-brained portent of a writer-director who just can’t get out of his own way. Glass is fashioned as the epic climax to a slow-build fans weren’t even aware they were experiencing until literally the final seconds of Split, where Unbreakable‘s hero David Dunn (Bruce Willis) was revealed to exist within the same world as Kevin Wendell Crumb aka The Horde (James McAvoy). In the present, Dunn runs a security firm with his son Joseph (a returning Spencer Treat Clark) while doggedly pursuing the at-large Crumb, which leads to a first-act tussle that lands both men in a psychiatric hospital. 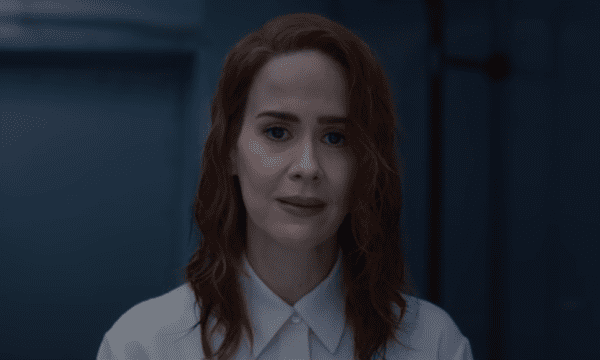 Here Dr. Ellie Staple (Sarah Paulson) attempts to convince them, along with their brittle-boned genius inmate Elijah Price aka Mr. Glass (Samuel L. Jackson), that they’re mere mortals with delusions of being super-powered. It’s a hell of a set-up, and though Shyamalan brings Dunn and Crumb together through almost laughably contrived circumstances, there’s an enticing urgency to the movie’s opening half-hour – aided by West Dylan Thordson’s anxiety-inducing ticking clock score – that suggests a worthy successor to both prior movies. Sadly things grind to a halt almost immediately once we arrive at the hospital, despite the game efforts of Paulson and a brilliant McAvoy in particular. Shyamalan fixates too much on Staple’s attempts to gaslight her patients into believing her lie – something that’s even less-satisfying because there is never any audience doubt whatsoever that these people are indeed who they think they are. Even from the jump, though, Glass is a film rife with the filmmaker’s most toe-curling excesses; dialogue is largely of the expository, prosaic variety, spoon-feeding the audience every morsel of subtext and character growth rather than letting it unfurl organically. And though the cast certainly makes the best of it, many lines simply sound clunky as spoken, because actual human beings – super-powered or not – don’t tend to talk like this. And let’s not even get started on Shyamalan’s eye-roller of a cameo. The slog of a second act does at least bring Jackson’s Price into the fold after spending the entire first reel on the bench, and true to form, Jackson rises to the occasion. It’s a neat reunion for fans of Unbreakable, and perhaps because Price is probably the character least-compromised by some of Shyamalan’s more baffling story detours, Jackson is able to build on the fascination of the character’s genesis two decades ago. Bruce Willis is at least trying to do something here, though he’s sadly let down by a script that oddly keeps him to the periphery, likely a commercial calculation following the success and currency of Split. As such, the floor is most often given to McAvoy’s Crumb, who is without question the single unqualified reason to see this movie. 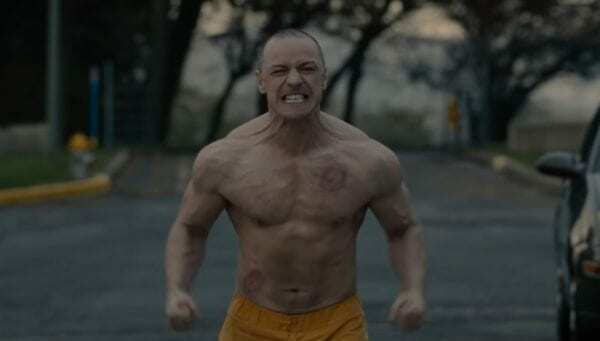 McAvoy’s performance in Split courted awards discussions from some quarters of the Internet, and though it predictably came to nothing, it was a fantastic canvas for the Scot to showcase his fierce chops. In a sense Glass is an even more promising arena for McAvoy to take firm grasp of this instantly iconic character, and to Shyamalan’s credit, he does exploit that fairly well. Simple dialogue scenes where Crumb is switching between several of his two-dozen personalities, often in the same shot, are completely entrancing. The fun is hampered somewhat, however, by the perfunctory return of his previous victim Casey Cooke (Anya Taylor-Joy), whose newfound sympathy for Kevin never quite clicks in place convincingly. The roughhouse second act and some of Shyamalan’s more questionable calls could perhaps be forgiven if the finale lived up to the hype, but this is unfortunately where Glass cuts the deepest. Some of the more modest final revelations do work well enough, but the way in which the filmmaker concludes his trilogy and closes out the characters’ respective arcs is honestly more questionable than the most groan-worthy plot twists from his worst movies. Some fans may appreciate or even defend the singularity of his ending, but this isn’t quite a Star Wars: The Last Jedi situation; this does not feel well thought-out fully in the knowledge that it would divide fans. 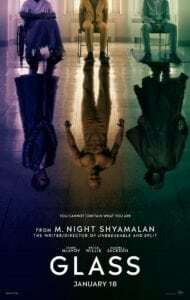 Glass is certainly not one of the very worst films in Shyamalan’s back catalogue, but it is a stupefying stumble for a director who seemed to be getting his groove back. Does it mean we’re lumbered with mid-2000s Shyamalan once again? Tough to say, but hopefully he’ll continue to work in the comfort of the low-to-mid-budget arena rather than be tempted by blockbuster offers once Glass inevitably annihilates the box office. James McAvoy’s outstanding performance anchors a shockingly unsatisfying conclusion to M. Night Shyamalan’s Eastrail 177 Trilogy. This is transformers Shaunny mutt – there are no more sequels or toys to sell so it’s OK to kill of the main characters.